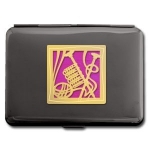 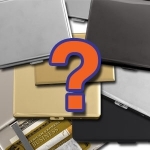 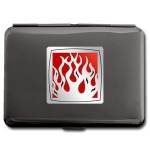 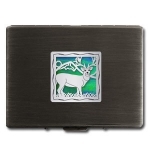 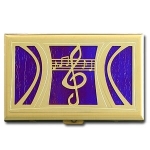 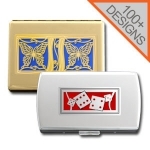 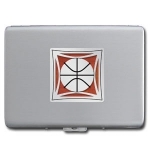 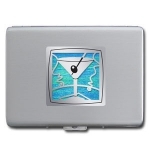 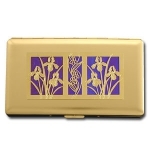 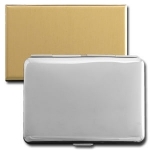 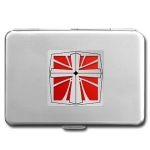 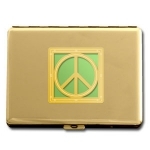 Find 100s of unique cigarette cases and metal credit card wallets personalized with 100s of cool designs, 30 colors, silver/gold. 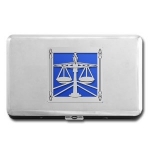 Engraved metal wallet cases for men and women that you'll love to use. 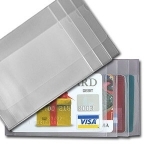 Create a unique metal wallet unlike any you've ever seen and give a gift that is truly awesome. 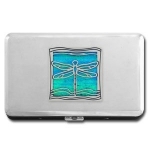 These personalized metal cigarette cases, credit card wallets, lighters, & cigar holders are handcrafted just for you with any of Kyle's 500 antique & modern designs, 30 gorgeous colors, or optional engraved message. 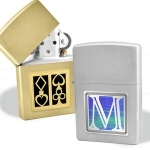 Express what makes them special - from an interest in sports or a passion for crafts, to a love of animals or a distinct sense of style. 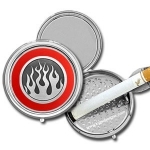 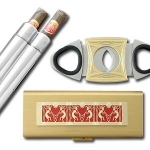 You'll also find decorative smoking accessories for 100 mm or 120 mm cigarettes, cool pocket ashtrays, and hard cases for full packs, each customized with our exclusive thematic designs.